Last night Green Party leader Natalie Bennett was the first politician to appear on Leaders Live, a new debate series that gives young people the chance to put questions directly to leaders. Broadcast live on YouTube, the series is created by Bite the Ballot, an organisation that empowers young people to make informed voting decisions. Bennett’s appearance was significant as she has been omitted from the BBC’s scheduled debates that will mark the run up to the general election. The questions that the audience asked Bennett showed that jobs and education are at the top of their list of worries. When asked who she proposed would cover the cost of the free higher education the Greens have promised, Bennett pointed to rich individuals and multinational companies who do not pay their taxes. She stressed that there is a need for society to be “rebalanced” and that multinationals need to take responsibility for contributing towards society. The issue of equality also informs the Greens’ policy on drugs. Bennett was adamant that drugs “should be treated as a health issue, not a criminal justice issue”, and said that the amount of discretion given to police means that more people from minority backgrounds are arrested for drug misuse than people from other backgrounds. This, she said, is despite the fact that more privileged people are no less likely to be using drugs. Bennett also pledged to end zero-hours contracts, and stated that her party was “absolutely opposed” to unpaid internships. Alongside workers who currently receive a minimum wage, interns, she said, should be paid the Living Wage as a minimum. The NHS was also a key issue in the debate. Bennett warned that the UK is ‘racing towards’ an American style privatised health system, and criticised the private finance initiatives (PFI) which are holding the NHS hostage with huge interest rates and service charges. Campaign group Drop the NHS Debt estimate that by 2020-21, the annual costs of the 118 NHS PFIs will be £2.14bn. Saving 46 per cent of that would release about £1bn a year. As part of the Greens’ plans for the NHS, Bennett promised that more detail on mental healthcare would be added to their manifesto. She criticised the way that mental health problems are regarded as less urgent than physical ones, and pledged parity of esteem for people with mental illness. On education, Bennett said that no school run by a faith group should receive government money. She predicted that in the event of this becoming legislation, many faith schools would choose to come into the secular system rather than become private. The school system also face criticism from the Green leader over its competitive nature. Bennett said that the system should be based on cooperation, and shold include a more practical curriculum covering things like relationships, health and nutrition, in order to give pupils an “education for life”. I have heard a lot of Labour supporters suggesting the Green Party should not field candidates in certain seats as it would ‘split the left’ and let the Tories in. A large number of Labour MPs campaigned to keep the current voting system which perpetuates the failed two party system. Labour has lost the right to represent ordinary working people. Introducing tuition fees, saddling the NHS with crippling PFI debt, keeping weapons of mass destruction (Trident), weak opposition to TTIP and fracking, cosying up to big business, anti-terror laws used to suppress peaceful protest, illegal wars and so much more. They are too close to the Tories and are lurching to the right on immigration to head off UKIP. Labour is targeting a seat held by Caroline Lucas, MP of the year, and one of the few bright lights in a grey and corrupt Westminster. It’s time for people to vote for a real alternative. Truly left, truly radical, true to its principles. I don’t want another Tory government but, having been hugely disappointed and often shocked by New Labour’s record, I don’t want Labour in either. Time to crack the two party old boys’ system. While much of today’s media coverage has been focused on Ukip’s victory in the Rochester and Strood by-election the “peoples army” are not the only ones on the march. The Green Party has been creeping up in the polls and is now posing to a major threat to Ed Miliband’s left flank in England. The party now regular poll is the region of six per cent. Polling company YouGov’s most recent survey on the Greens suggests they could see their popularity rise even further. Carried for the Times’ Red Box, the poll asked participants “If candidates from the following parties were standing in your constituency and had a chance of winning, how likely would you be to vote for them?”. The Greens scored 26 per cent ahead of both Ukip and the Greens. 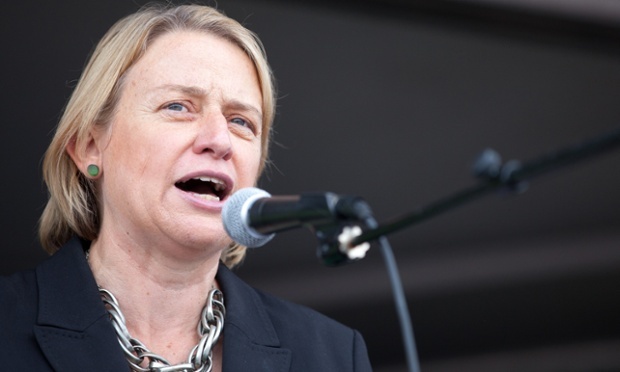 However, the problem facing the party’s leader Natalie Bennett is that while the Greens may be popular among a large section of the population people don’t believe they are capable of winning in their constituency. The Greens currently have one MP Caroline Lucas, who represents the Brighton and Hove constituency. 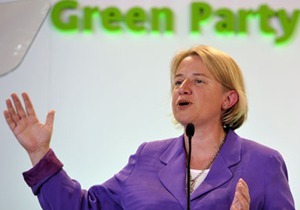 The Green party was furious at the decision of the country’s biggest broadcasters to not invite Natalie Bennett to take part in the leaders debate during the general election campaign. Ukip will take part in one of the debates, which will be produced and broadcast by ITV. The Greens have stuggled to get their message across thanks to their lack of media coverage relative to other parties. That state of affairs may now be in decline but the Greens will still struggle to get a hearing if Ukip continues to win elections and maintain a strong position in the polls. Rights of People with Disability – Learning Disability Alliance Launch. Great launch of the Learning Disability Alliance on Friday in Manchester. Some deeply moving contributions from all present especially from people themselves and their families. Like the mother who’s son was abused whilst in care and has since been moved from pillar to post deeper into to Hospital care Services to protect him. Resulting in his freedom, over the 2 years since the abuse, being more and more restricted whilst the perpetrator of the abuse has long since served his 6 month sentence. 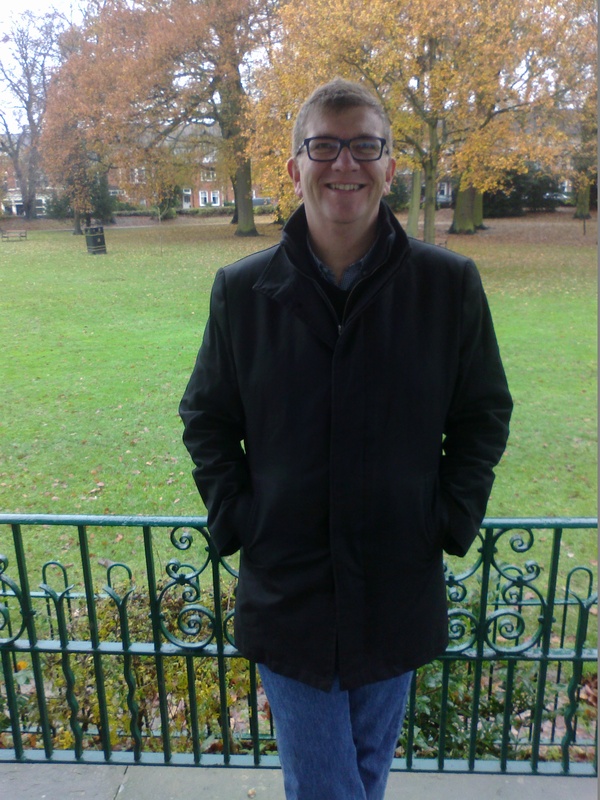 As the Green Party Parliamentary candidate for Wellingborough I shared my decision to stand and my wish to speak up for disabled, vulnerable and older people across the County. I also encouraged :- ‘Let’s not just influence the political parties, let’s write their manifestos for them’. A YouGov survey for the Sun (1) puts the Green Party on 8%, the highest ever result for the party with the leading pollster. 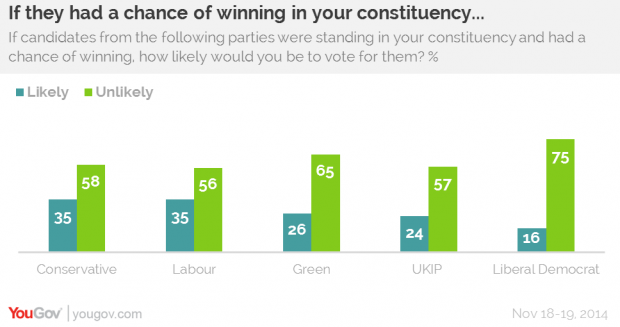 The Green Party’s average polling score with YouGov has risen by three percentage points in the last six months (2). The latest poll marks the second time in recent weeks that YouGov has put the Greens ahead of the Liberal Democrats (7% in latest poll). The Greens have also out-polled the junior Coalition partners in a recent Ashcroft National Poll (3). The Green Party, the only party offering a genuine alternative to business-as-usual Westminster politics, has challenged (4) the broadcasters’ proposals to exclude the Greens from the planned televised Leaders’ Debates ahead of the 2015 General Election. Almost 270,000 people have signed a Change.org petition (5) calling for the Greens to be included. Some leading political commentators have suggested (6) that polling which puts the Greens ahead of the Lib Dems puts pressure on the broadcasters to invite the Greens in the interest of both democracy and fairness. “It (the polling) will spark fresh calls from the Greens to be included in pre-election TV debates – after broadcasters revealed plans to exclude them”, suggested the Sun (7) today. The polling surge is mirrored by the Green Party of England and Wales’ rapid membership growth in 2014. GPEW Membership stands at 25,799 and is up a striking 87% since January 1 2014. On May 22 2014, the Greens comfortably outperformed the Lib Dems in the European parliament elections both in terms of total vote and MEPs returned (8). It is helpful that Mr Cameron has finally noticed the extreme fragility of the global economy, if only belatedly, but what’s clear from his remarks is that he’s trying to lay the blame for the failures of his own government in any place but the right one. Voters will no doubt recall that this government came into office promising to ‘rebalance’ our economy, away from the financial sector and back towards manufacturing – a move that would have required substantial investment in the real economy, rather than cash flowing into financial and property speculation. That has not happened; the UK’s rate of investment is comparable to El Salvador’s, and the financial sector has debts totalling 1,300% of GDP. The Green party says this has to end. We need to slash the size of the financial sector and see that it serves the needs of a boosted real economy that manufactures the goods and grows the food that we need, providing jobs that workers can live on, and homes they can afford. That would also reduce our exposure to the international economic, political and military turbulence. Since the BBC rejected a demand for the Green party to be included in the proposed televised election debates, a petition demanding their inclusion has been signed by over 260,000 people. Amid the narrative of disillusionment with mainstream politics, most commonly expressed in the media by the rise of Ukip, the Green party’s role in seducing support away from the main political parties has been reflected in the polls and in the press. We asked people who have recently turned to the Green party to tell us their reasoning. We received hundreds of responses, which told of a frustration with the status quo but also a post-referendum surge in optimism for future political plurality. Based on these responses, here are seven of the most popular reasons why people are turning Green. Polling by YouGov suggests many Green voters have previously voted Liberal Democrat, but have been repelled by the party’s record in government alongside the Conservatives. This is particularly the case of younger voters who feel betrayed by Nick Clegg’s infamous tuition fees pledge. But this also is the reasoning by more longstanding members. Key to the frustrations over the Green’s exclusion from the proposed television debates was the inclusion of Ukip, a party who have repeatedly set the media agenda in recent months. “There is a huge gap in British politics where the powerful, left wing parties should be,” says Hannah Leach, who has voted Labour in the past before becoming disillusioned by the party under Blair and Brown. “In the last election, I supported the RESPECT party (Salma Yaqoob was my local MP candidate), and I’ve also watched with interest to see if/how Ken Loach’s Left Unity party would develop. The Green party have been working hard to paint themselves as the only mainstream left alternative. “Voters are desperate for alternatives to the three business-as-usual parties,” said Natalie Bennett at the party’s 2014 conference, and this is a message that has been resonating with new recruits, according to our readers. The growth of political engagement in Scotland in the lead up to the independence question also seems to be a factor driving people to commit to the Greens. Of the many unintended consequences of the close vote, a potential surge in SNP votes in next year’s general election has been the most reported on, but our readers responses suggest a more widespread increase in political re-engagement, paying dividends for the Greens north of the border. “I joined the Scottish Greens on 19 September, after the referendum results, says Robert Groves. “I am still affected by the opening of the Greens’ paper on Independence, that this was “a chance to ask ourselves what kind of society we want to live in, what kind of democracy we have”. “I’m a Kidney Transplant patient, [and] the Greens are clear about what they want to happen in the NHS, says Christopher Flossman on a key battleground issue. “There should be no profit motive, and no competition between hospitals or in healthcare provision.” “They’re pushing on issues which I feel strongly about like minimum wage and tax, adds Jesse Laffan, a Green voter from Brighton. 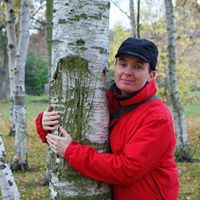 While all – well, most – UK political parties now accept climate change is happening, the Greens’ environmental policies are still a large part of their appeal. Readers particularly drew attention to their frustrations over continued reliance on fossil fuels, and the government’s encouragement of fracking. “I joined because I think climate change is the biggest challenge facing our generation and none of the other parties are taking it seriously,” says Elizabeth Carter. Richard Gray, a 60 year old politics graduate, had never joined a party before, but saw something different in the Greens. And he sees voting for them as playing the long game. Source – Laura Bannister of the Green Party talking to Natalie Bennett, leader of the Green party, at a demonstration in Manchester/The Guardian. Over 260,000 people have signed a Change.org petition (1) calling for the broadcasters to include the Green Party in the TV Leaders’ Debates ahead of the 2015 General Election. Robyn Meadwell, a 20-year-old Young Green activist who started the petition, will be joined by Green Party Co-Deputy Leader Amelia Womack to hand in the petition to BBC Broadcasting House at 10.30 on Thursday 13th November. The huge popularity of the petition chimes with polling released by YouGov (3), which reveals that if the debates do go ahead as proposed, the debate that includes Ukip Leader Nigel Farage (ITV) should also include Green Party Leader Natalie Bennett. 47% are in favour of including the Green Party. “The broadcasters’ TV leaders’ debates proposals fly in the face of both fairness and democracy – that’s why there has been such a sustained public outcry. It’s not just Green supporters who believe the Greens should be invited; politicians and political commentators from across the political divide have called on the broadcasters to rethink their proposals. “I have been overwhelmed by the support and signatories to the petition I started last month”, said Meadwell ahead of the hand-in. The meteoric rise of the Young Greens has been one of the most startling features of the 2014 ‘Green surge’, which has seen total membership of the Green Party of England and Wales rise by 83% since January 1st 2014. The Young Greens have seen a 165% rise in membership, going from 1,700 members to 4,500 in under a year. The Greens, the Scottish National party and Plaid Cymru have joined forces to ask the BBC to rethink its plans to exclude them from the main TV leaders’ debates in next year’s general election. The call was made in a joint letter to the corporation that has also been backed by some cross-benchers and the Labour peer Lady Helena Kennedy. The BBC has launched a public consultation on its election guidelines, but not specifically on its plans for the leader debates. 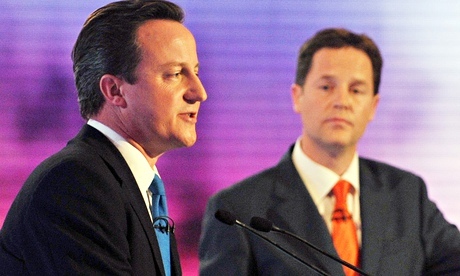 The BBC and other broadcasters have proposed that the UK Independence party (Ukip) join the Liberal Democrats, Labour and Conservatives in one nationwide debate, followed by a discussion between the three main Westminster parties, culminating in a head-to-head debate between the prime minister, David Cameron, and the opposition Labour leader, Ed Miliband. 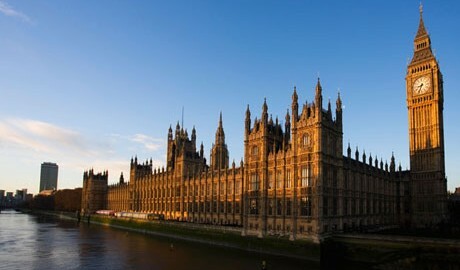 The debates are seen as critical to Miliband’s chances of persuading the British electorate to vote for him as prime minister. • Engage a wide audience in news, current affairs and other topical issues. • Encourage conversation and debate about news, current affairs and topical issues. The letter has been signed by a group including the former Paralympian Lady Grey Thompson; Labour MP Paul Flynn; convener of the Scottish Green party Patrick Harvie MSP; Labour peer Lady Helena Kennedy, Plaid Cymru Westminster Group leader Elfyn Llwyd; Green MP Caroline Lucas; cross-bench peer Baron Herman Ouseley; Westminster SNP leader Angus Robertson, Westminster SNP leader; cross-bench peer Nicholas Trench, Earl of Clancarty; SNP MP Mike Weir; and Plaid Cymru MP Hywel Williams. The corporation argues that Ukip has been polling substantially higher than the Greens, and the SNP and Plaid Cymru are not parties standing throughout the UK. There would be separate leader debates in Scotland and Wales. More than 200,000 people have signed petitions calling for the Green party to be included in the debates and its exclusion appears to be driving an increase in membership. The petition, started by Young Green activist Robyn Meadwell, states: “The Green party beat the Liberal Democrats in the 2014 European elections and is polling neck-and-neck with them in general election opinion polls. In May 2014, more than 1.2 million people voted Green – more than 150,000 more than voted Liberal Democrat. Green party membership stands at 24,435 and has risen by 77% since the start of 2014. You are currently browsing the The Northants Green Party Blog blog archives for November, 2014.